Traditionally, the meaning of Gamification is nothing but, a usage of gaming techniques, mechanics and thinking in a non gaming context. If we go a little deep from work point of view then, in simple words Gamification at work is to make work more fun and interesting. But, before that, employers and hr personnel got to know that, what the basic types of users that you would often encounter. These are those types of users who like to achieve, grabbing points, travelling different levels, collecting bonus gifts and so on. Single player games interest them more than multiplayer ones. As the name suggests, they like to explore more. Finding places, going through maps, reaching destinations interests them more than anything else moreover they feel restricted when the game doesn’t provides them the privileged to move and explore on themselves. There joy lies in socializing with people and the aspect that they love is of interaction. The fact that in a virtual world they meet someone adds up to their interest level. Dress up games; make up games interest them a lot. These types of users love to have a power packed action game. There they get a chance to fight with a computerized opponent and save the day for people thus, these games give them a chance to add action in their normal life. A Forbes article in 2013 stated that 70% of Forbes global, 2000 companies are planning to adopt Gamification. As reported by Pew research centre, 53% of respondents agreed that advancement will come into place if Gamification is adapted by 2020. These individuals shared an equal belief on the fact that – Gamification would be able to play a greater kind of role in everyday activities. Gamification generates an immediate feedback and engages the user appropriately. However, there are several things that an organization needs to know before taking a step further towards its implementation. There are different types of users with respect to the departments. Understanding these users and their needs are important. What is the unique selling feature and so on. Using the right feature is important to yield the accurate result. The whole idea might go wrong if the features are misplaced. To give an instance – using a competitive feature to motivate in a department which requires team work and collaborative effort might fail to throw the desired impact. Hence it is important to understand and analyze the nature of the user and environment. Transparency is vital if you wish the process must turn out to be a success. An employee must know the rules, he or she must know what his or her aim is and what is expected. Otherwise he or she won’t be able to give a better performance. Thus, transparency is important. The design should be such that it will encourage employees and not bring him to the shame. It should be positive, making and influencing employees that success is possible. The set up of environment must be positive providing rewards for the progress. It is vital for the set up programs to be user friendly. They should be designed in such a way that it becomes easier on the part of operation. If the programs happen to be tough to understand, then the entire idea of Gamification would falter. There are different cultures that are breeding under office culture. Different industries demand different culture and thus, the Gamification of work has to be something that is related to the office culture. Keeping a set up that doesn’t suits with the culture might just fail to connect with the employees. 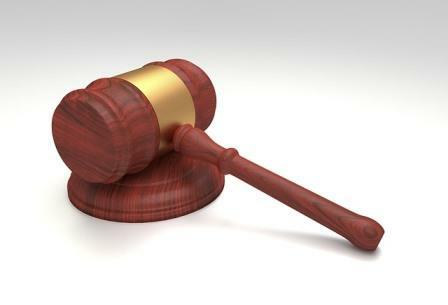 Every country and state has a law and policies that the company has to adhere to. The Gamification of work should be such that, it shouldn’t violate the law and policy and at the same time privacy of the user should be respected. People are fancied for novelty. If the programs are kept unchanged for a long period of time, chances are more likely that employee would soon become least bothered about it. So, it is essential to keep the newness alive always. Keeping the pace with new technology is highly essential if you want your people to get hooked and attracted towards the new system that you have introduced for them. An outdated system might not wonder them and hence in order to keep the interest level high, you must keep the pace with changing technology. User can get a timely feedback due to the usage of game mechanics and techniques. Gamification at workplace enhances the performance of the employees. In the end, it brings back the interest of a user or employee through its creative charm. This is one of the ways of making work much more fun and enjoyable. 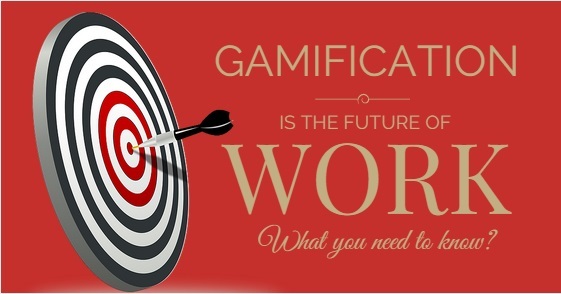 Gamification is the future of work; it is embracing the pressure of work with a creative medium. It the things are programmed properly then this can provide a better kind of positive impact, while larger companies are planning to adopt this system gradually this will be taken in by medium sized companies as well. So where are you heading in your quest of creativity? Are you ready to mix the play with your work? Next articleHow to Write a Perfect Recruiting Email to Candidates?